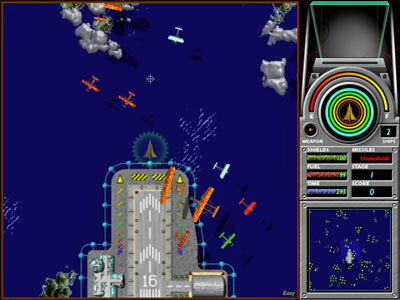 Freeverse have recently released Wingnuts 2, a (Mac OSX only) game that "takes you on a fantastic journey to over 30 real, (and not so real), locations and time periods as you hunt Baron Von Schtopwatch and the mysterious Raina". 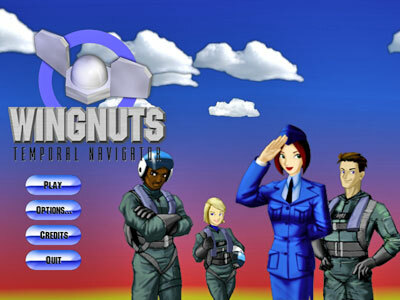 It is available for $29.95 (although you can download a demo version for free), but the really good news is that they have now made the well-reviewed original Wingnuts available free of charge. Most sailboats get airborne when seas are rough – and that's usually a bad thing. But l'Hydroptère (Greek for "marine wing") soars by design, rising 4 feet out of the water (the crew attains an altitude of 15 feet) thanks to three state-of-the-art hydrofoils. 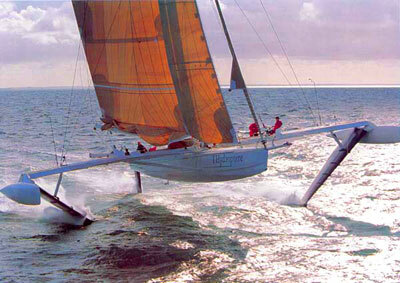 The 60-foot trimaran was conceived and built using principles from both the maritime and aviation worlds to reduce drag – the velocity-killing bane of most boats. 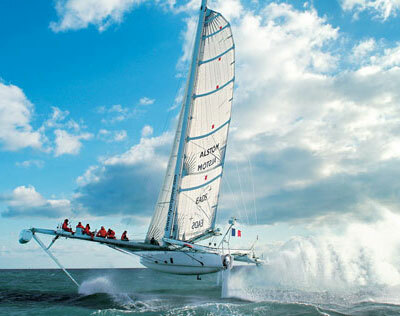 Not surprisingly, its creators have the sailing world's speed records in their sights. L'Hydroptère recently navigated 19 miles across the English Channel in an unprecedented 34 minutes and 24 seconds – that's an average speed of 33 knots (around 38 mph). Now the boat's designers are crafting a long-distance model, l'Hydroptère Maxi, with the goal of shattering a whole new class of sailing record – circumnavigating the globe. The RareMonoShop 'Designer and Provider of outstanding products with valued price!' 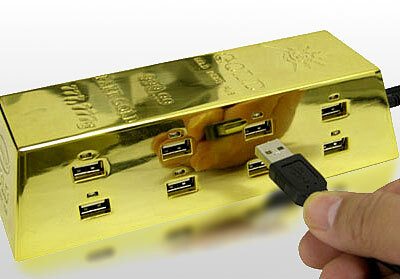 have released a USB hub that looks (a bit) like a gold ingot. They've even made it convincingly heavy. If the (not real) gold ingot hub isn't of interest to you, perhaps their USB eye and seat warmers might be more to your liking. No? Didn't think so. The 19.6 x 7.3 x 4.9cm mock ingot is due to ship early next month. For fuller details (and scary pictures of a man dressed as a pirate) visit the Thanko website. 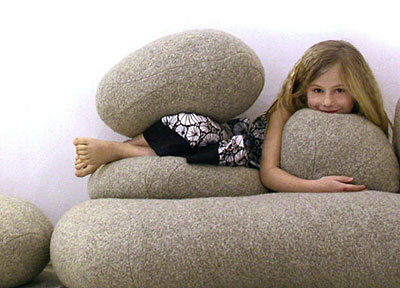 Livingstones (geddit) make cushions that look like rocks. I want a room-full. 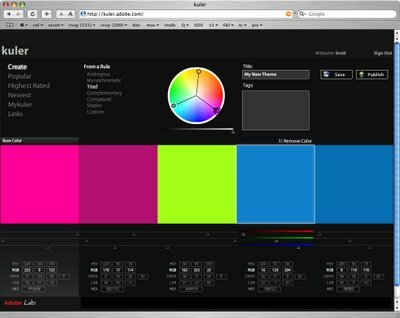 "allows users to quickly create harmonious color themes based on predefined color formulas, or by mixing their own color themes using an interactive color wheel. 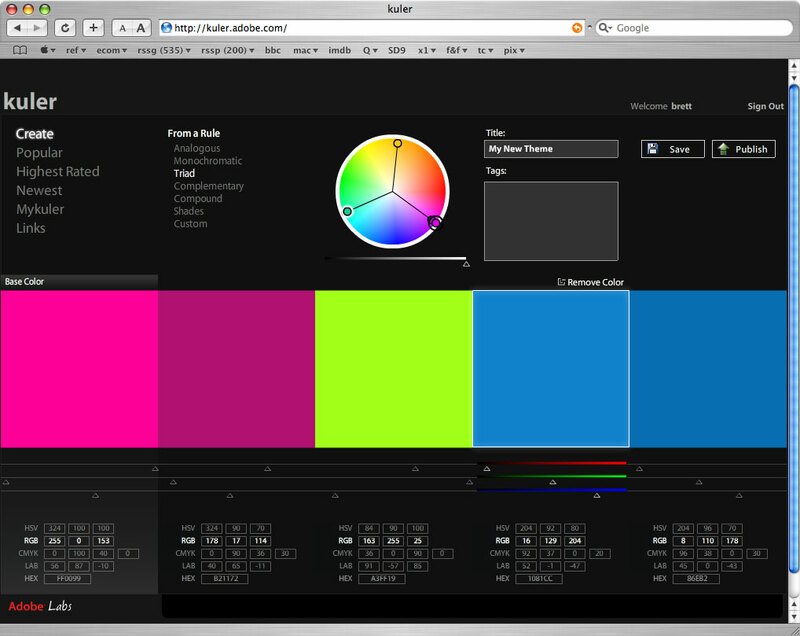 Color themes can be created in multiple colorspaces including RGB, CMYK and LAB. Themes can be tagged, shared and commented on. Users can search the kuler online community for top rated colors, or search for schemes by tag word or date created. Users of Adobe Creative Suite 2 applications can download any color theme as an Adobe Swatch Exchange (.ASE) file that can be imported in their preferred creative application and can be applied on their artwork." Can't decide what to get your kids for Christmas? For just £12.99 from Argos or Amazon (other re-sellers are available), your child could be the proud owner of the GR8 Tat2 Pen kit. 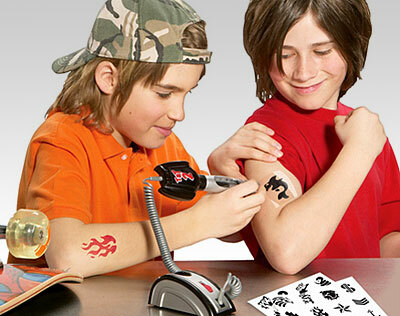 Yes, your progeny (as long as they are '6 years or over') can 'Open up [their] very own pretend play tattoo parlour. This easy-to-use tattoo maker kit includes an electronic tattoo pen and funky stencils. 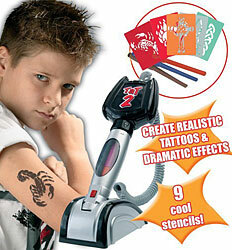 Using soft, safe pulsating action, the tattoo pen creates realistic, washable designs with dramatic effects'. Look out next year for the 'GR8 PiercN Plierz & 4Cepz' kit. 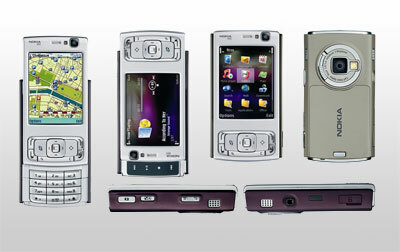 The soon-to-be-released Nokia N95 boasts an impressive feature-set, including a 2.6" 240x320 pixel display, 5 megapixel camera, WiFi, stereo Bluetooth, infra-red and GPS satellite navigation. 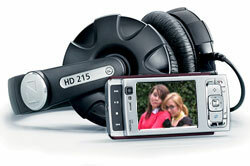 Sensible extras include hot-swappable micro-SD memory, an FM radio (what, no DAB? 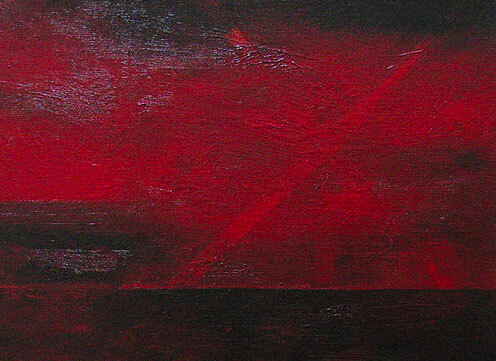 ), a standard (hurrah!) USB port to connect to your computer and a 3.5mm headphone socket (hip, hip hurrah! ), so you can use any brand of earpiece without an adapter. This is all packaged in a two-way slider design. Move the screen up for a conventional mobile phone keypad. Move it down and you get a set of multimedia keys, and the screen switches to 'landscape' mode. The N95 has Symbian S60 as its operating system, with a range of programs to capture, manipulate and share images and video clips, a multimedia player, Visual Radio, an advanced web browser, email client, file viewer and personal information management tools. All in a package that weighs less than 120 grams with the dimensions of a credit card (well, a chubby credit card... OK, a morbidly obese, 21mm-thick credit card). With the rumours reaching hysteria levels over Apple's (allegedly) forthcoming iPhone, I won't be buying one until next year. But if nothing emerges, or it turns out to be little more than an iPod with a SIM card, this is nearer to the kind of compromise i would be willing to make, especially if it synchronises with my Mac's address book and calendar. Now if ONLY they could make it a bit slimmer! I've mentioned Second Life, an online virtual world, in a previous blog. 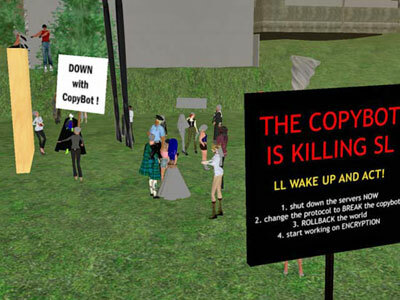 Linden Lab, which publishes Second Life, posted a blog alerting residents of the virtual world to the existence of a program called CopyBot, which allows someone to copy any object in Second Life. That includes goods such as clothing that people purchase for their in-world avatars, and even the virtual PCs that computer giant Dell announced Tuesday it is going to sell in the digital world. Second Life users can purchase virtual items with a pretend currency called Linden dollars. But they use real-life currency to acquire that virtual coin. In fact, there's an exchange rate between the two: One U.S. dollar will buy 271 Lindens, enough to buy a basic outfit for an avatar, which is the digital representation of a person. Problem is, it's not clear yet if there's anything Linden Lab can do to stop people from using the bot. Linden Lab said Second Life content creators who had their wares stolen had few immediate options for stopping the thefts and that the best recourse for them could be to file a Digital Millennium Copyright Act complaint - in the real world - against offenders. Some virtual entrepreneurs now worry their livelihoods are at stake, and some are threatening to shut down their in-world businesses before they get fleeced. Residents have also complained about other issues, such as problems with the user interface and previous issues related to the security of created content. To 'Baba Yamamoto', the Second Life name of one of the members of the group that created CopyBot, the uproar over the software is understandable but disappointing. Yamamoto told CNET News.com that CopyBot was created as a tool for testing and demonstrations and was never intended to be used for illegal theft. But because the tool was created using an open-source license, some Second Life users are now freely using and distributing it. And many residents are very unhappy about that. "The essence of the creativity in this world is largely because of creators and their work being protected," Mallon said. "This tool defeats all protection. So if you labour to build a business like we all have, your work can be stolen." Bored with lacklustre BlueMountain flash-animated eCards? Ever had a strong desire to send someone a greeting spelled out with aerial views of large buildings? 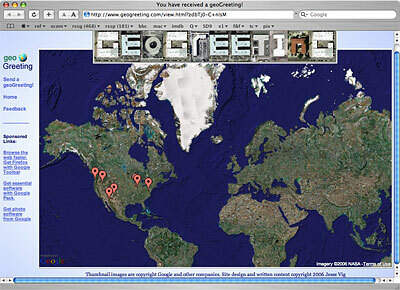 Well geoGreeting is the place for you. 1001fonts.com has a large, and regularly updated range of typefaces. WC Wunderbach is an interesting variation on the 'stencil' theme. Fontleroy Brown manages a 'deco' look better than many. Porky's is informal and bold, oh, and extra bold! Echelon is a condensed, calligraphic serif. Sanuk Fat is a modern, professionally-drawn display face. It is available free (for a limited time) from fontfont.com, complete with three different number styles. My mum was right, YET again! You're a 5-year-old kid out for a walk in the local park, and you spy the primary colours of the play area. "Don't come running to me when you break a leg!" yells your mum as you hurtle toward the climbing frames. Do you listen? Hell no! And do you fall over? Hell yes! And as you lay there, your knees throbbing, and your chin grazed, you know that the worst is yet to come. First there will be the humiliation of the 'I told you so' look on your mother's face, and then, horrors! She produces a hankerchief from her pocket, LICKS it, and pinning you to the floor to stop you wriggling away, begins applying it to the mud and cuts! Aarghhh! The substance, dubbed opiorphin, could spawn a new generation of natural painkillers that relieve pain as well as morphine but without the addictive and psychological side effects of the traditional drug. Saw this posted on the gym wall this morning. Made me wonder how many years of work are sitting on flash memory. The millions of 'priceless memories' that exist as JPEGs on digital cameras and mobile phones. Entire music collections on MP3 players. Most of them won't be backed-up. 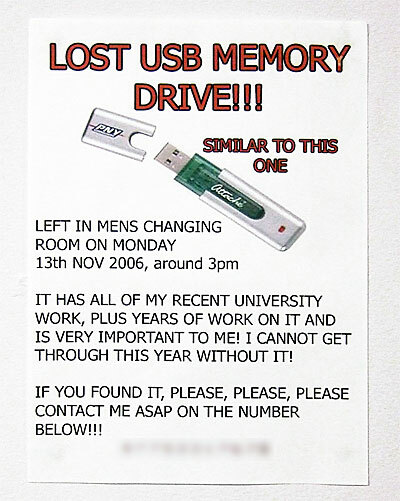 Terabytes of data, all of it an absent-minded moment, or a 'format this drive' away from oblivion. I haven't backed up my laptop for weeks. I'll be doing it this evening. "a cutting edge full service agency providing alibis and excused absences as well as assistance with a variety of sensitive issues. We view ourselves as professional advisors who understand our clients’ unique situations. We explore various approaches with our clients and implement the best solution based on the individual case. 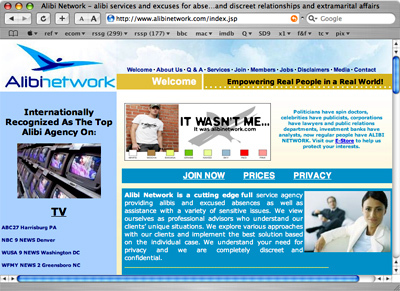 We understand your need for privacy and we are completely discreet and confidential." I've never been sure about what constitutes 'art'. 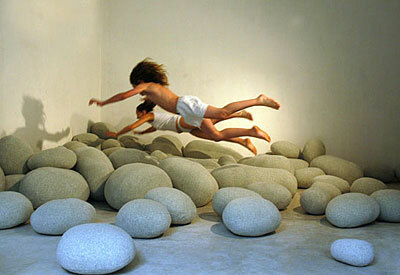 And having spent a weekend with my son looking at some of the Turner Prize entrants, I'm even more confused. However, in my not-so-humble opinion, Sarah Delany creates original abstract images that are contemporary and extremely pleasant to look at. And she sells them at very reasonable prices. Her first exhibition 'Visually Speaking' sold out within a few days. Her second set of original works 'Forgotten Spaces' is available online. 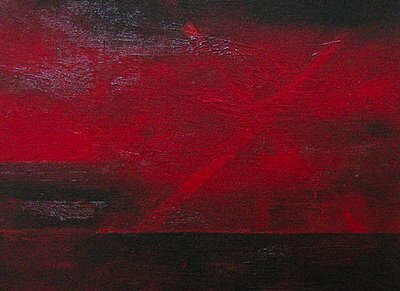 If you're in the market for an original piece of art to grace your living space, or just fancy browsing some attractive paintings, her site is worth a visit. The art of cake-cutting requires great care and skill to ensure no party is left feeling cheated or envious. Now, however, parents and party hosts can approach the task with confidence – as mathematicians claim to have found the perfect way to cut a cake and keep everyone happy. 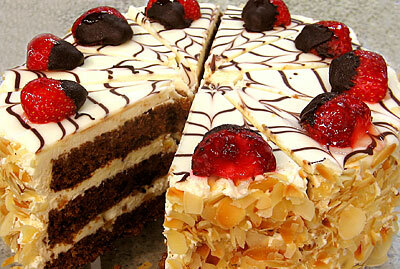 Traditional methods, such as the "you cut, I choose" method, where one person halves the cake and the other chooses a piece, are flawed because though both get equal shares and neither is envious, the division is not equitable - one piece may have more icing or fruit on it than another, for example. Enter the “Surplus Procedure” (SP) for cake-sharing between two people, and the "Equitability Procedure" (EP) for sharing between three or more. Both involve asking guests to tell the cake-cutter how they value different parts of the cake. For example, one guest may prefer chocolate, another may prefer marzipan. Under SP, the two parties first receive just half of the cake portion that they subjectively valued the most. Then the "surplus" left over is divided proportionally according to the value they gave it. EP works in a similar way: the guests first get an equal proportion of the part of the cake they each value the highest – a third each if they are three; a quarter each if they are four, etc – and then the remainder is again divided along the lines of subjective value. Intriguingly, the procedures are "tamper-proof" – people cannot manipulate the process and must be truthful with the referee, or else they could end up with less than makes them happy. A British company claims that its software enables users to at least double their reading speed by making use of the way the brain interprets text. It says reading speeds as high as 1200 words per minute (WPM) are possible, compared with a typical speed off the page of 150 WPM. BookMuncher uses a technique called Rapid Serial Visualisation Presentation (RSVP) which displays a document word by word mid-screen. The idea is that as the words flash by, your brain recognises their shape or outline, rather than trying to decode their sound or spelling. "The science behind it is word shape recognition, rather than the relationship between the letters," said BookMuncher development director Jon Bunston. 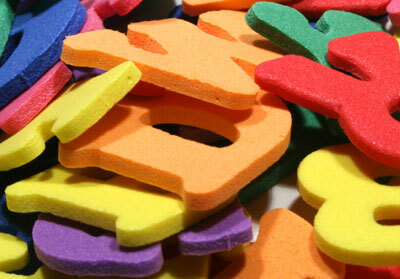 "As you increase the amount you read, you recognise more word shapes and can read faster. 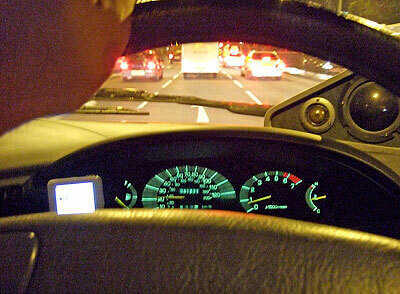 It can get you reading at 300 WPM in hours or 600 to 700 within days." He added that as well as a £20 program for PCs, capable of handling Word or RTF documents and text files, BookMuncher has developed a version for mobile phones. He said the technology is a good fit for small screens which aren't well suited to displaying continuous text. The software is the latest attempt to commercialise research done over the last two decades or so into reading speed. 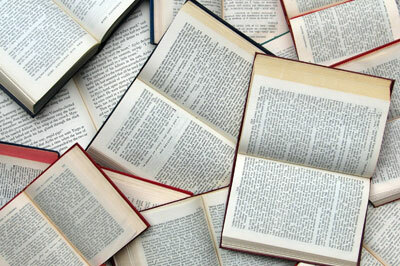 What the researchers found is that there are two blocks to faster reading - how long it takes us to move our eyes across the page or screen, and our tendency to subvocalise - reading the text silently to ourselves. RSVP breaks those blocks by displaying words sequentially at a speed too fast for us to read out. Bunston acknowledges that BookMuncher is not unique, but pointed out that none of its rivals had achieved a breakthrough in the market. He claimed that the key to that could be getting RSVP onto mobile phones, with e-books as downloadable content alongside games and MP3s. Jim Kalb's site is a cornucopia of wordplay-related stuff. Listed below are some satisfyingly apposite anagrams I hadn't come across before. The United States of America = Attaineth its cause: Freedom! It's not JUST me who has thought that is it? Well, anyway, back in April I blogged on this, using the then soon-to-be-released Mio A710 as an example of how close we were to a device that fulfilled these requirements. The main areas where the Mio fell short was flaky software/hardware implementation, no built-in WiFi, and too much bulk (150g). 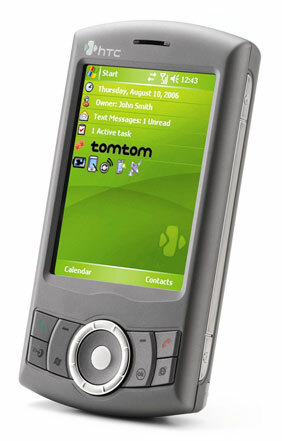 HTC are a Taiwan-based smartphone/PDA designer/manufacturer. 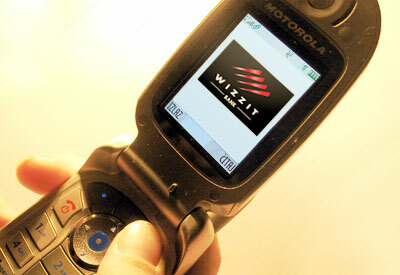 Up until recently they have produced phones that mobile networks put their own badges on. However, recently HTC have started marketing a number of 'own-badged' products. All in a 58x108x16mm (not much bigger than this picture), 127g package. 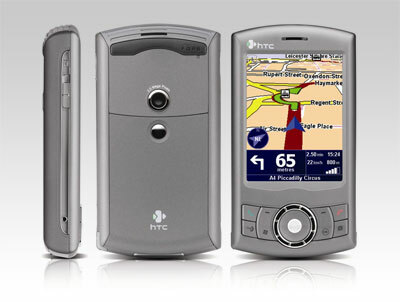 Early reports indicate that the HTC P3300 is less than perfect. The camera is average, the processor a little slow, the screen not bright enough in direct sunlight, nobody seems to like the 'rollerball' pointer device... and did I mention it runs Windows? Not something I'd be willing to part with £450.00 for. But the important thing is that this is not a 'concept machine'. It IS possible to put all the components that I want into a box that is light enough to carry around in my shirt pocket. Now, imagine if Jonathan Ives' team worked its magic on this thing. Slapped one of those new Samsung 640 x 480 pixel LCD panels on it. Shaved a few grammes and millimetres. Added a couple of memory slots. Then finished it off with a decent operating system, Bluetooth earbuds and a drop-dead gorgeous casing. Now that is a product that would have me parting with (over) half a grand. You might think - why do poor people need/want bank accounts? The report highlights Andile Mbatha, who owns a hair salon in Soweto. He used to have to travel more than 2 hours by minibus to send money to relatives... a personal delivery. He also used to have to keep what ever cash he had on hand at the salon or with him as he travelled. He now uses a new mobile banking service called Wizzit which enables him to instantly transfer money to his relatives for a very low fee which enables him to spend more time earning money. He also now receives payment for services at his salon via mobile phone from more than half of his customers which means that he doesn't have to manage a lot of cash. The reality is that the poor, with by definition fewer resources, have needs (often more so than wealthier people) to transfer their monies to support other dependants and family members who out of necessity live significant distances from each other. Without bank accounts, the transaction cost of making these payments (recurring ones are often referred to as remittances) are very high... even higher than what it costs wealthier people to transfer even much larger sums. This is often referred to as the the "poverty tax" where the less well off pay a premium because they are not able to use more economical service options due to their economic and/or social status. Scalable models like this enable increased productivity and earnings capability which is a core element in increasing wealth (another way of saying decreasing poverty levels). My taxi duties to and from Lincoln have become less frequent, thanks to Brook and Sky sharing driving duties, with Cyan and Zak as passengers. However, this weekend Brook was exhausted from a college trip to London, so I made the trip on Friday night to pick them up. 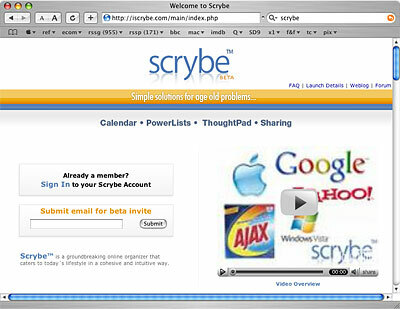 Scrybe is causing a lot of buzz on the web right now. Little is known about it, except that, based on its promotional video, it is an attractive and intuitive online (and offline) organiser that works on PCs and Macs. "Either these guys have pulled off a marketing hoax that is complete and beautiful, or they have created an app that will be the first in the wave of 'solve everything beautifully and elegantly once and for all'." Things that make you go, 'Why?'. 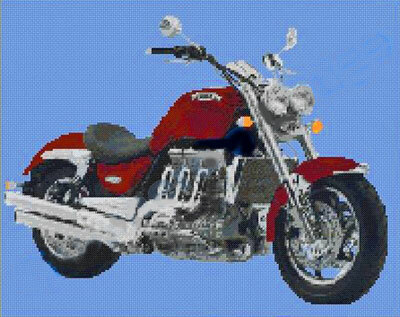 The Triumph Rocket III is the largest capacity production motorcycle in the world. 320kg. 2294cc. 147lb-ft of torque at 2,500 rpm. 140 bhp. 0-60 in 3.5 seconds. 0-100 in 7. 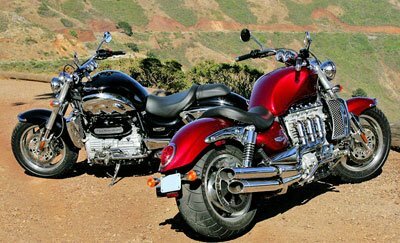 The kind of two-wheeled behemoth that has even the most loyal Harley-Davidson fan questioning their brand-loyalty. 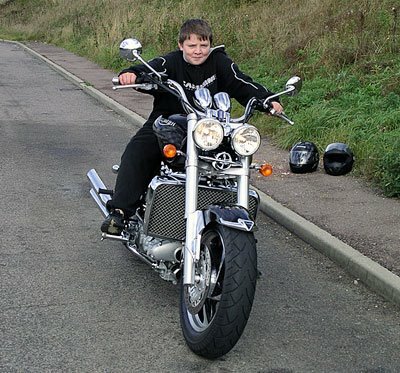 Zak and I took one for a test ride last year, and we still talk about the experience. The question I have is, why is it available as a cross-stitch pattern? There’s no backlight, however. Sony would probably argue that this trait makes the Reader even more like a traditional book, but it also means that you can’t read in bed with the lights off, as you can with a laptop or palmtop. The Sony Reader has a few kinks to be ironed out. Like an Etch-A-Sketch, the Reader’s screen has to wipe away each page before drawing the next one. Unfortunately, the result is a one-second white-black-white blink that quickly becomes annoying. Sony has dreamed up some baffling controls — not an easy feat on what should be a very simple machine. For example, the next/previous page buttons are at 2 and 8 o’clock on a dime-size desk. A circular control might make sense if it had buttons at all four points of the compass — but only two? Still, Sony got the big stuff right: the feel of the machine, the pleasantness of reading, the clarity of type. Not any time soon. 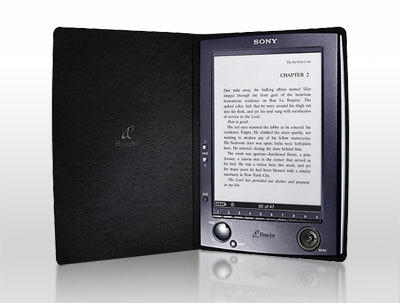 The Sony Reader is an impressive achievement, and an important step toward a convenient alternative to bound books. The masses, however, may continue to prefer the more established portable-document format. Those older reading machines never run out of power, cost about 2 percent as much and don’t break when dropped.